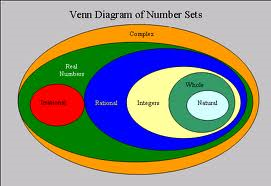 Complex numbers, also referred to as imaginary numbers, are used in many fields of physics, engineering and general mathematics. These are essential to creating fast-executing, small memory-usage equations for Digital Signal Processing (DSP). The most common set of complex math is used for Fourier analysis (e.g., Fast Fourier Transform or FFT) which maps the “real” numbers expressed in the time-domain, to complex number representation in the frequency-domain. Simply expressed, a complex number is comprised of two terms and takes the form of ” a + ib “. Both ” a ” and ” b ” are real numbers, an ” i ” denotes the imaginary unit. This is defined as i*i = -1. Electrical engineering students typically encounter complex numbers in their first courses. For example, a basic circuit with a battery (or other source) and a resistor is described by the electrical source (V), the current (I) flowing through the resistor, and the impedance of the resistor (Z). The complex impedance is given as Z = R + jX, where R is the real part, “Resistance” and X is the imaginary part, “Reactance”. In electrical engineering, the letter ” j ” is used to represent the imaginary element, so as not to confuse the ” i ” with the symbol for current, ” I “. However, if we examine the next two common electrical elements, the Inductor and Capacitor, we’ll understand why complex numbers are useful. Ideal inductors and capacitors have purely imaginary reactive impedances which vary with the frequency ( ” w ” ) of the excitation (i.e., an AC voltage source) passing through them. Similar to the Fourier Transform mentioned above, the complex notation ” jw ” can be transformed from the time domain to the complex frequency domain using a Laplace Transform where ” jw ” maps to ” s “. The use of complex numbers actually simplifies the mathematical computations since the characteristics of a circuit can be now expressed using addition and multiplication, rather than integrals and differentials.